(Lake City, Fla.) One of the first companies to offer continuing education healthcare courses online has caught the eye of Fox network’s WorldWide Business as a leader in the industry. CEUfast is the brainchild of nurses Julia Tortorice RN, MBA, MSN, and Donna Thomas, RN, MSN, BHSEd. They created the service in 1987 and launched CEUfast.com online in 2001. CEUfast.com’s high volume, low cost platform for continuing education is spreading like wildfire among nurses thanks to its easy-to-use accessible technology, quality courses and quick response to the educational needs of their customers. In a WorldWide Business interview airing on Fox Business Sept. 4, program host Kathy Ireland spoke to co-owner Tortorice about the obstacles facing nurses who have to maintain their CEs to practice nursing. One of the biggest issues being a lack of time. To combat that issue, the company offers over 100 CEs online, accessible on any platform, including laptops, tablets, and smartphones. The courses apply to all level of nursing, from nursing assistant to RN, LPN, and advanced practice nurse. CEUfast’s streamlined approach allows a low price point of $30 for a one-year subscription, covering an unlimited number of CE courses. The interview will air on Fox Business and Bloomberg International September 4. For more information, please email Kristal Roberts at kristal.roberts@ceufast.com or call (904) 844-0345. 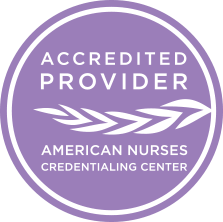 CEUFast is nationally accredited as a continuing education provider by the American Nurses Association.